Detail from the pamphlet God admonishing his people of their duty, as parents and masters: A sermon, preached at New-London, December 20th, 1786 by Henry Channing. On December 20, 1786, a crowd gathered behind New London’s old meeting house to witness the execution of a convicted murderer. The condemned had beat and strangled 6-year-old Eunice Bolles (the daughter of a prominent New London family) as she walked to school 5 months earlier. 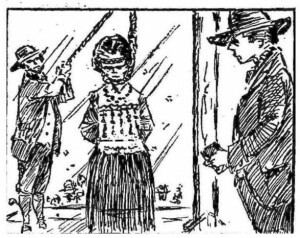 Stepping up to the gallows, witnesses said Eunice’s killer, Hannah Ocuish, appeared afraid—seeming to silently plead for help with her eyes—as the realization hit that she was about to die at only 12 years old. On the morning of July 21, 1786, Eunice Bolles left her home and headed to school, but she disappeared somewhere along the way. Around 10:00 am, local residents discovered her body lying face down next to a stonewall on the road leading from New London to Norwich. She had a fractured skull, bruises on her arms and face, and signs of strangulation. Her killer covered her head and torso with rocks to make it appear as if Eunice had died from the tragic collapse of a stonewall, but the ruse proved unconvincing. Local residents began hunting for Eunice’s killer. They questioned young Hannah Ocuish, who said she saw 4 boys near the crime scene earlier in the day. When authorities found no evidence to support Hannah’s story, they took her to the Bolles home, and in the presence of Eunice’s dead body, Hannah broke down and confessed. Hannah Ocuish was an orphan. Believed to suffer from a mental disability, she lived her life shuttled through a series of foster homes. In June of 1786, Eunice Bolles accused Hannah of stealing strawberries during a harvest. Hannah is said to have plotted her revenge against Eunice and, 5 weeks later, lured the younger girl into the woods with the promise of a gift of calico. Once the road was out of view, Hannah beat and strangled Eunice Bolles. Because of Hannah’s disability many questioned whether she was fit to stand trial, but a judge saw value in using her conviction to send a message to the local community and sentenced her to hang. 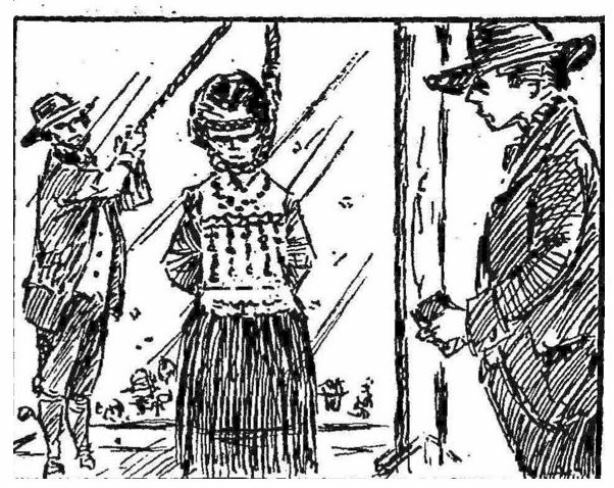 Reports described Hannah as seeming unconcerned by her death sentence until just hours before standing on the scaffold, when the enormity of the day’s events seemed to overtake her. Her death remains the last documented execution of a female in Connecticut. Channing, Henry. God Admonishing His People of Their Duty, as Parents and Masters. a Sermon, Preached at New-London, December 20th, 1786. Occasioned by the Execution of Hannah Ocuish, a Mulatto Girl, Aged 12 Years and 9 Months. for the Murder of Eunice Bolles, Aged 6 Years and 6 Months. New London, CT: Printed by T. Green, 1786. Link. Stagis, Julie. “A Girl, 12, Is Hanged in Connecticut for Murder in 1786.” Hartford Courant. April 1, 2014. Link.